New research identifies the various ways in which we’re most likely to come into contact with communicable diseases at airports. Turns out that toilets are surprisingly clean, but the same cannot be said for those plastic bins used at airport security, which are absolutely covered in viruses. Airports are stressful even in the best of circumstances. In addition to making sure we board our flight on time, we have to go through the tedious rigamarole of checking luggage, keeping boarding passes and identification handy, and, of course, passing through airport security. And all the while we’re touching things. So many things. Handrails, doorknobs, desktop surfaces, plastic bins, ATMs, and so on. Making matters worse, all this touching is happening in an environment filled with a never-ending stream of travellers. 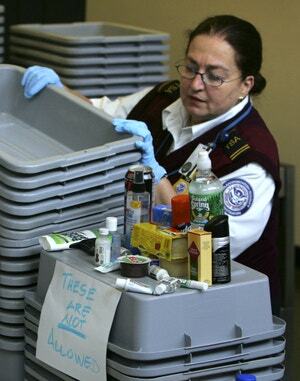 Airports provide sickness-causing viruses ample vector points from which they can leap from victim to victim. Epidemiologists are fully aware of how airports can foster and spread diseases, warning travellers to wash their hands and cover their coughs. Yet surprisingly little is known about the specific ways in which germs are disseminated within airports. To overcome this knowledge gap, a team of British and Finnish researchers conducted a study to identify and quantify the respiratory viruses on frequently touched surfaces at airports. Their results, published this week in BMC Infectious Diseases, show which surfaces are most likely to harbour germs, and the kinds of respiratory diseases that exist in airports. For the study, Ikonen and her colleagues visited the Helsinki-Vantaa airport in Finland at the height of the flu season during the winter of 2015-2016. Swabs of commonly touched surfaces were made both during and after peak travelling hours. The scientists employed a method in which genetic material gathered by the swabs could be detected later in the lab. The researchers also extracted air samples to see if any viruses were floating around the airport. In all, 90 surfaces were tested, including toilet bowl lids, escalator handrails, elevator buttons, chair armrests, trolley handles, toys in the children’s play area, and so on. An astounding 10 per cent of the surfaces tested harbored a respiratory virus of some sort. 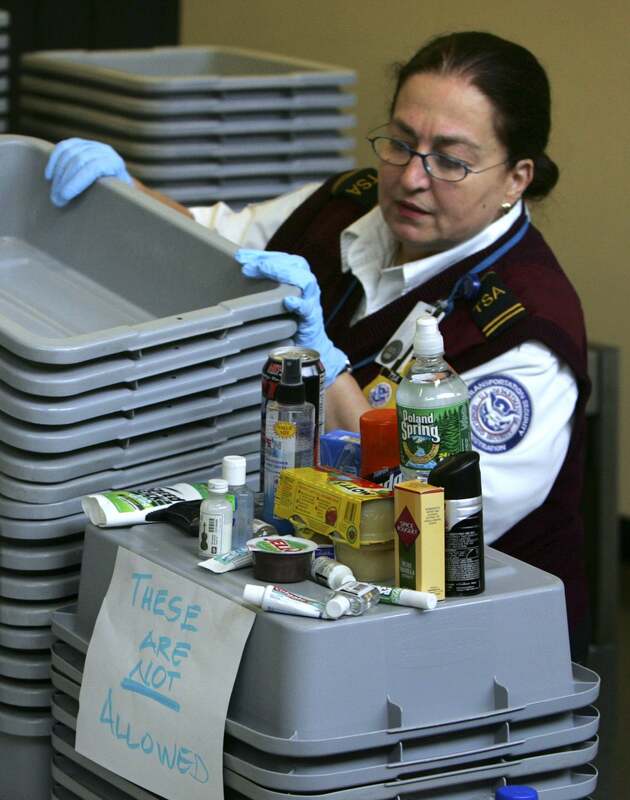 Our main findings identify that respiratory virus contamination of frequently touched surfaces is not uncommon at airports; and that plastic security screening trays appear commonly contaminated. 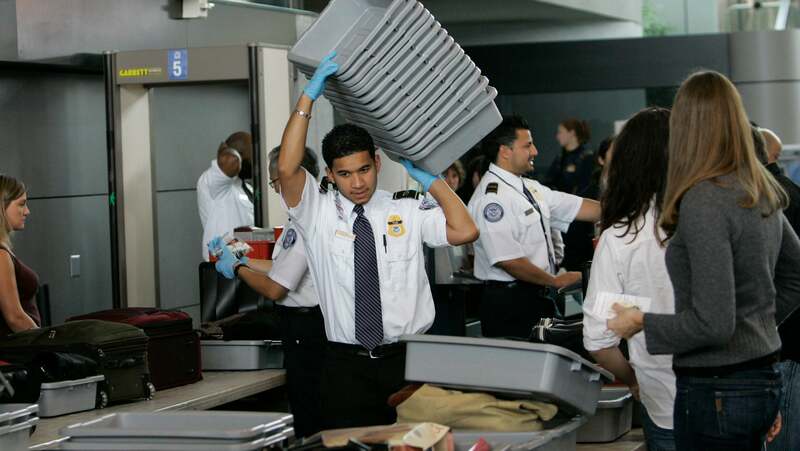 The latter is consistent with security procedures being an obligatory step for all departing passengers, and that each security tray is rapidly recycled and potentially touched by several hundred passengers per day. Also, that plastic security trays are non-porous and virus survival is known to be prolonged. What’s more, these bins are not routinely (if ever) disinfected. Risk of infection, the researchers say, could be significantly reduced if airports offered hand sanitizers and/or alcohol hand rubs to travellers both before and after security screening. And the bins should be routinely cleaned, the say. In addition to the plastic bins, other surfaces containing high concentrations of viruses included shop payment terminals, staircase rails, passport-checking counters, and toys in children’s play areas. At 40 per cent, rhinovirus was the most common germ detected by the researchers. The other viruses, in order of frequency, included coronavirus (30 per cent), adenovirus (20 per cent), and influenza A (10 per cent). 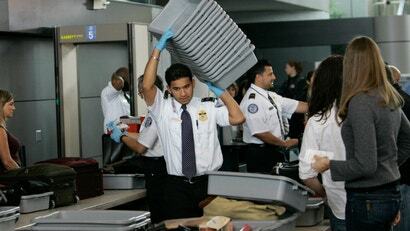 Only one airborne virus was detected (an adenovirus), and it was found floating around the security check area. In an ironic twist, no respiratory viruses were detected in the toilet area, whether it be the upper surface of the toilet bowl lid, the flushing button, or the lock on the door. Which kind of makes sense, as “passengers may pay particular attention to limiting touch and to hand hygiene, in a washroom environment,” the researchers write in the study. It’s important to point out that this study was limited to one airport. Results could be different elsewhere, given that variances exist in travelling populations, climate, cultural hygiene habits, and other factors. Also, this study didn’t actually prove that the viruses found on the surfaces were actually causing infections in people—but “previous experimental research has proven that many microbes survive on various surface materials up to several days,” the researchers write. This study has some important takeaways for virologists, health workers, and airport officials, but travellers should take heed as well. No question about it, washing hands is critical—here’s how to do it properly.